Sacha Baron Cohen is The Dictator. The film is out now. I love it when women go to school. It's like seeing a monkey on roller skates -- it means nothing to them, but it's so adorable for us. Zoey: Could you please take your hands off my breasts? 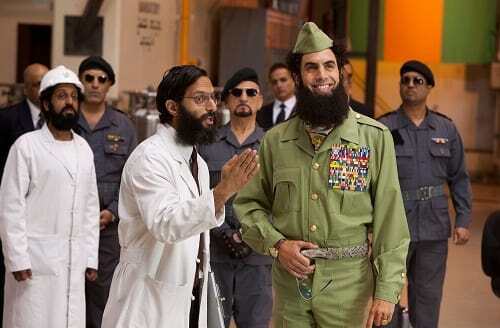 General Aladeen: Those are breasts? I thought you were a boy.